I’m fond of talking about my grandmothers. I was lucky to know the two through my teens. Both my grandfathers died before I was born. In fact, my mother never really knew her father. He passed away when she was a toddler. We called my maternal grandmother Nana. I think I was one of her favorites because I was the youngest grandchild. She lived nearby our apartment in The Bronx, NY and spent summers with us in Long Beach, NY. I so enjoyed visiting her after school. She would make brownies and store the brownies in an empty Maxwell House coffee can. They were as hard as rocks. We would have tea time and dunk our crusty brownies in the tea. Sometimes my Nana would read my tea leaves at the bottom of the cup. My fortune was always a good one. My maternal Nana lived nearby. Growing up, many Sunday afternoons were spent at my paternal Grandma’s home, also in The Bronx. She only spoke Yiddish. All the aunts chatted while the uncles played cards. I had many cousins so it was quite lively. Grandma would make homemade honey cake, knishes, and kugel. She was a good cook until her hearing and eyesight declined. Thankfully, they both lived into their late 80s and early 90s, respectfully. 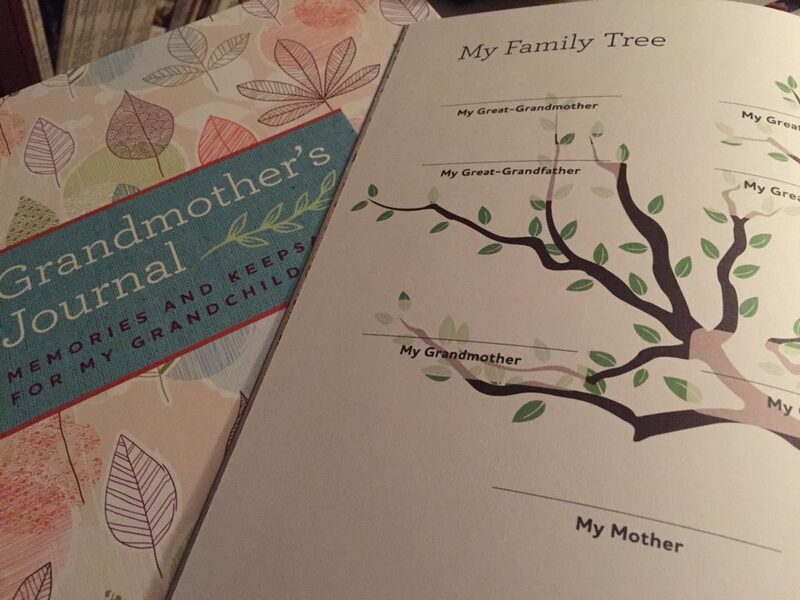 Although I’m not a grandmother, I wanted to know more about grandparenting. 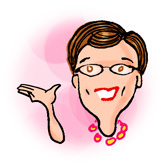 So I asked some of my friends and blogging buddies. The answers were pretty consistent — it’s great to be a grandmother! There are pages to share your wisdom. There’s a place to capture your family tree. You can share information about your grandparents. 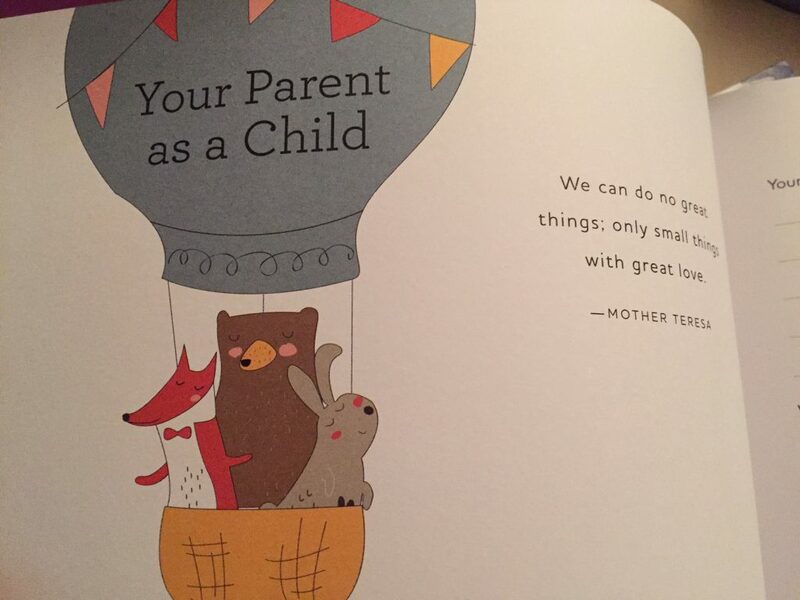 Share a story about your child who is now a parent. 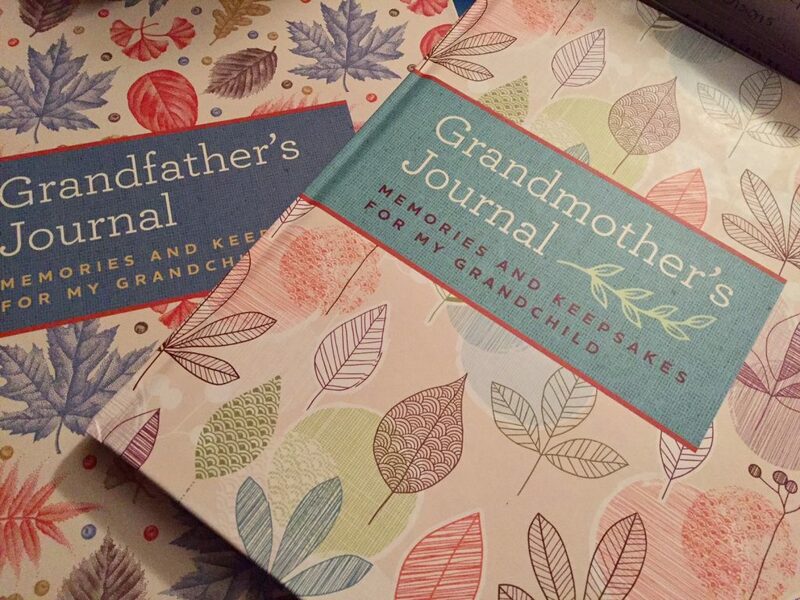 Now that you know how great it is to be a grandparent, when you become one, or if you already are one, or if you have a grandparent in your life, you’ll want to get or give a Grandmother’s Journal or Grandfather’s Journal. 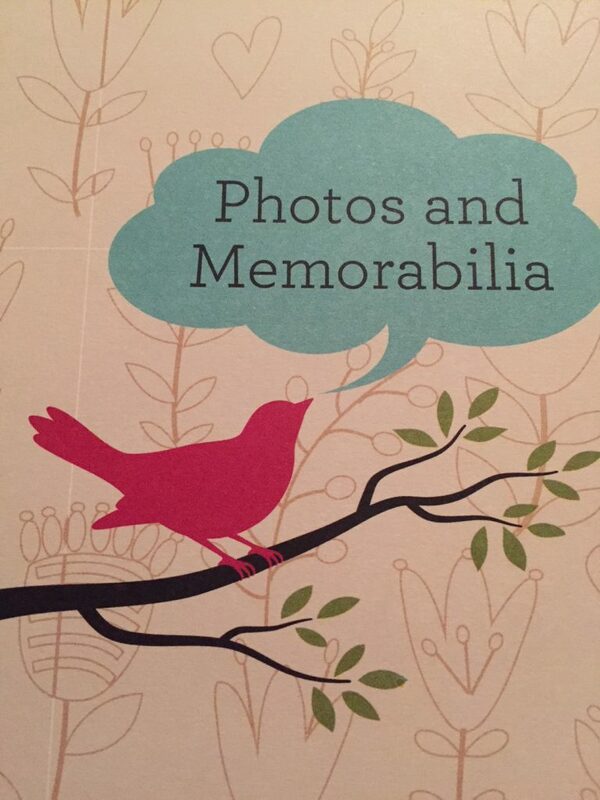 They make thoughtful gifts for grandparents for Mother’s Day and Father’s Day. 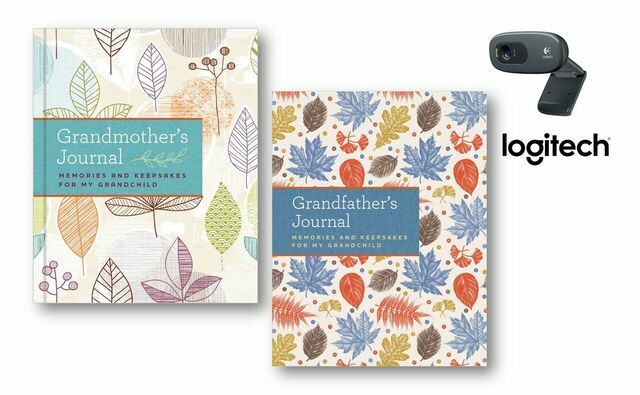 The keepsake memory books are designed to capture and preserve grandparents’ unique memories, from the days of their own childhood through the precious moments they spend with their grandchild. There’s plenty of room to store old photos. Thanks to publisher Bluestreak Books, one lucky reader will not only receive a set of Journals but the giveaway also includes a webcam! Be sure to leave a comment about your grandparents or what you love about being a grandmother or grandfather (for any guys who read my blog). You can also enter via the Rafflecopter entry below. *Disclosure of Material Connection: Bluestreak Books (an imprint of Weldon Owen) is partnering with me for a giveaway. Regardless, I only recommend products or services I use personally and believe will be good for my readers. I love the sweet comments in this post! I think most of us grandmothers find grandparenthood to be one of the most special times of our lives. This giveaway is a treasure. Keeping these memories alive through a journal will let us relive the wondrous moments for years (and generations) to come. Helene, after reading all the comments it makes me want to be a grandmother even more. Hopefully, I will have the opportunity to see my children become parents one day. I am lucky enough to still have grandparents who are healthy and active. 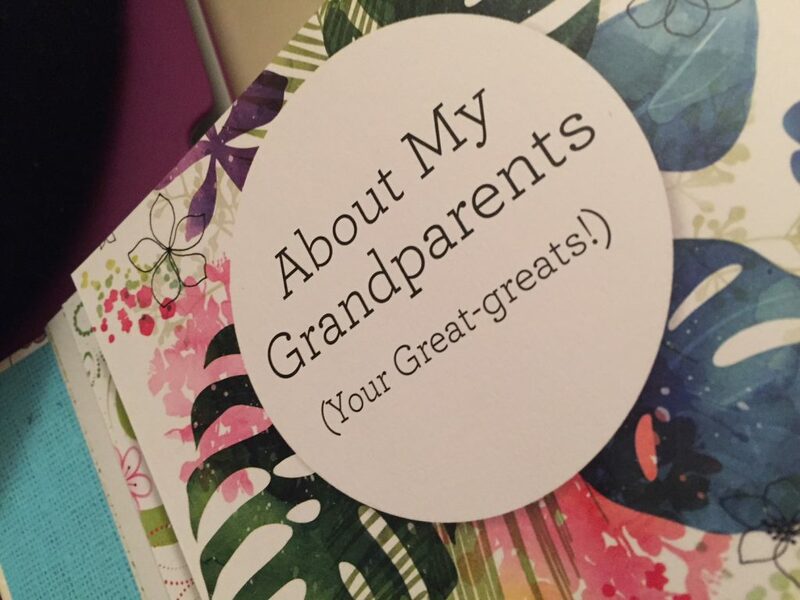 My kids get to enjoy knowing their great-grandparents, which is super special to me! Jennifer, you are lucky indeed to have so many generations to share your life with you and your children. Being a Grandma is a special honor, responsibility and joy! Memory keeping (and making!) are so important as we pass down our traditions and keep family bonds strong! These journals are wonderful! Kimberly, it’s nice to have a journal to keep all the memories in one place. Glad you enjoy being a grandmother! Becoming a grand parent has truly been a magical experience! I am amazed as my relationship with my grandson and twin granddaughters grows and changes as they do but its always a joy! All my grands had health struggles some severe early on and it was heart wrenching but also a blessing tying us closer together. Thank you for your post and giveaway. It gave me pause to think of all my grands and parents and take note of the wonders of generations. Mary, so glad you enjoy being a grandmother. I hope your grandchildren are all well now and prospering. I remember my grandmother’s cooking. She made the best gravy for breakfast. Jessica, food is such a big part of our lives. I’m also not a grandmother yet. My kids are taking their time. The journals look wonderful, though. It’s a nice place to put thoughts and information you want to remember. Rebecca, they are really nice journals. My grandmother raised me as a child and I have extremely fond memories of growing up on her farm in Poland. How wonderful to be so close with your grandmother when you were growing up. I spent many hours at my grandparent’s house growing up because my parents worked long hours. I really enjoyed spending time with them and doing my homework with them after school. Glad you had such time to spend with your grandparents. Cherish those memories. My grandma is such a great lady, and she makes the most delicious peanut butter fudge ever. Yum, I wish my grandmother had made peanut butter fudge. She did make brownies that I loved even if they were stale. Anita, I’m so glad you were close with your grandparents. Tabathia, sounds like your grandma was a real gem. Glad you have fond memories of her. I miss my grandma we made Christmas cookies every year together that was one of my favorite memories of the holidays. 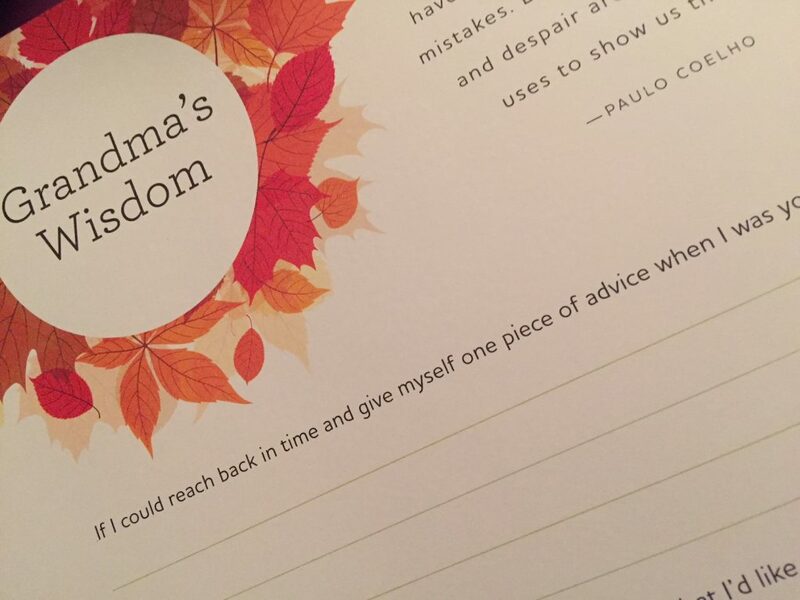 I started to fill out one of these types of books with my grandma but after she passed I wished we would of filled in more. I enjoy looking at the things we did put in writing a great way to remember. I would like to win these for my parents to fill out with their grandchildren. I love being a grandmother (Nana of 5)I am blessed to be able to keep some of them at least once a week. I love watching them grow and the excitement they get when they learn new things. I love some of the silly things they say but I really love it when they see me and tell “Nana” and run up and give me a big hug! Kelli, you are so lucky to be a nana to five grandkids. 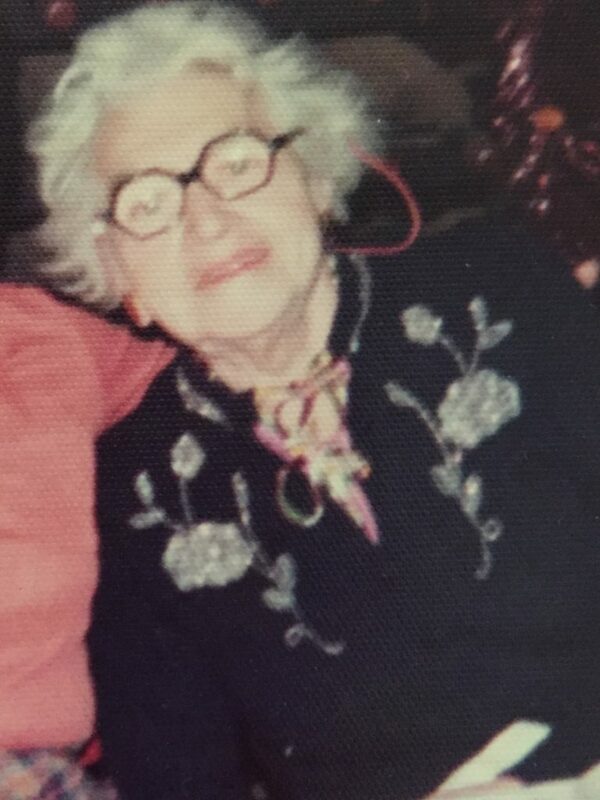 I have one Grandparent left – my Grandma – she’s 91 and spirited – we spend time with her every week. Mary, glad your grandma is still with you. Enjoy your time together.